Guess who it is guys! (Wow, I would never have a clue.) It’s your blog manager (for the last week), Nim! Last night was the season finale of my favorite show, NCIS:LA, so this marks my annual Season review! Let’s get this party started! SO MANY SPOILERS BELOW THE LINE!!! Season 6 definitely improved from Season 5, but there is a little bit of tweaking left. Again, I was left disappointed with no Deeks-centric episode we were promised. Fighting Shadows (18) and Beacon (21) gave me some hope that the finale was going to be about my precious puppy, but nah let’s go with another Callen finale (again). 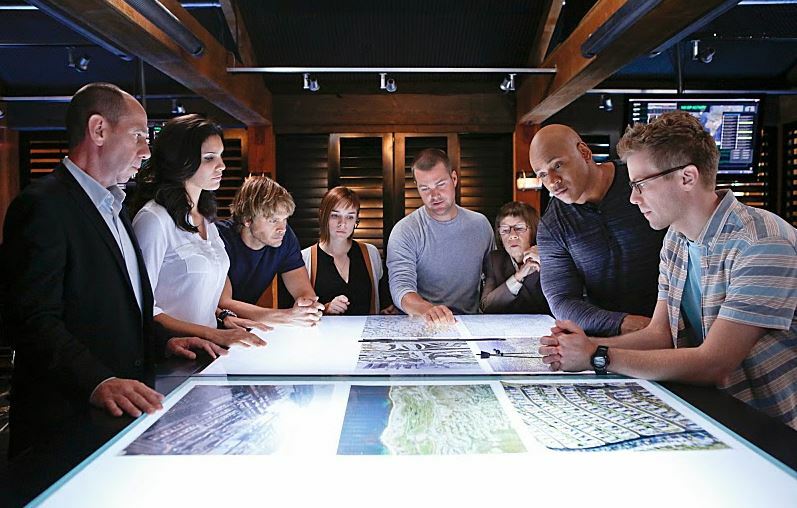 Although, I am pleasantly surprised that they pulled the trigger on Densi. I thought that they would make it another Tiva, which I was really not looking forward to. But yay, Densi! And again, they love to mess with my precious angel (Kensi)’s backstory. Field of Fire (22) was such a disappointment. It made no sense to stuff that between Beacon (21) and Kolcheck, A (23). Though I could’ve gone without Callensi (please dear god no) in Rage (20), the ships this season have been really well maintained. Hey, we figured out the mystery of Sam’s kids (He has 2)!! If we get our deserved Deeks-centric arc in Season 7, and a well written Deeks episode on ep 150, I’ll be happy. But knowing the show, we’re probably going to get 150 about the guys on the DVD covers, and we won’t follow the mothership’s path (they had a DiNozzo episode for 150, though it got shifted for Gibbs, but LA don’t you dare). And hey! We’ve got DiNozzo flying down to LA next year, so that’s something to be excited about! But admittedly, I am a bit worried about the Densi path. The way they’ve been flinging around kids and family, I (and a bunch of people in the fandom) have a sinking feeling that Daniela Ruah is going to get preggers soon again, so they’re paving the way for it. I’d love to see a Densi kid, but not now please. Maybe late Season 8, early Season 9. Please. That’s just my thought on this season, do any of you guys watch the show? I’d love to hear your thoughts if you do!